The days are getting shorter, the temperature is dropping and the kids are heading back to school. The approach of autumn means that winter is just around the corner. The question is – is your home ready? Break out your checklist and let’s run through five key maintenance tasks that will get your home prepared to face the winter. Unfortunately, the arrival of winter means that the patio has to be closed up for the season. It’s time to get chairs, tables and other furniture covered up or stored if you have space. The BBQ will also need to be covered or moved off to the shed or another dry area. Next, take some time to inspect your windows for drafts, leaks and other issues. This can be as easy as shutting them tight on a windy day and using your senses to determine if any air is leaking in. Depending on where you live in the country, you might need to do some additional work on your windows to get them prepared for the cold. Unless you have a garden full of robust, cold-loving plants, it’s likely that you will see most of them die off as we move from autumn into winter. Spend some time turning down your gardens and other areas. This can help to move nutrients into the soil where they’ll be ready to nourish new plants in the spring. If you haven’t used it in a few months, now is the time to fire up the furnace and check the home’s heating system. The last thing you want is to discover that your home isn’t heating on the first cold night! Last but not least, don’t forget to check your roof for any damage or areas that might be prone to leaking. 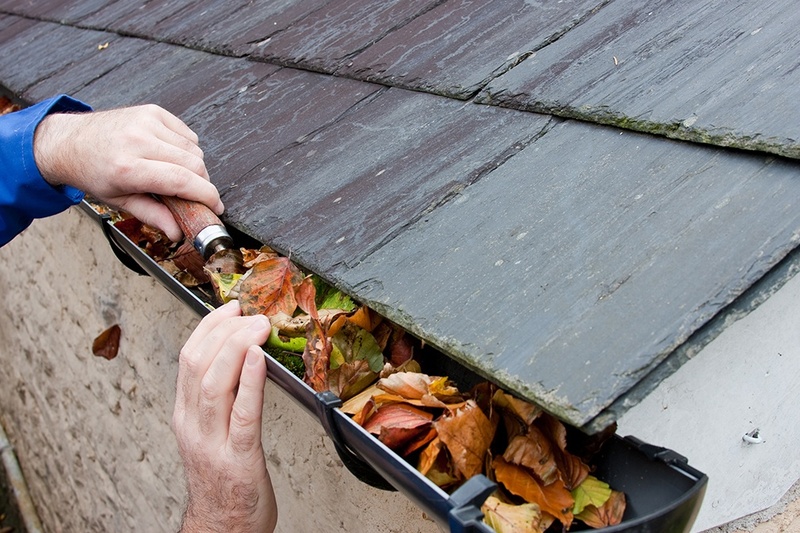 You will also want to check the gutters to ensure they are clear of debris. Keep in mind that this does involve climbing up a ladder and physically inspecting these areas. If you’re not good with heights or don’t own the proper equipment, don’t sweat it. Give a professional roofing team a call and have them handle the inspection instead. The better your home is prepared for winter, the less likely you are to have a nasty surprise waiting for you in the spring. If you would rather upgrade or check out a newer home than try to winterize yours, contact your local real mortgage professional to get started.